"Don't stub it out, just drop it in." Spout traps the smoke and extinguishes cigarette quickly. Holds cigarette butts out of sight. 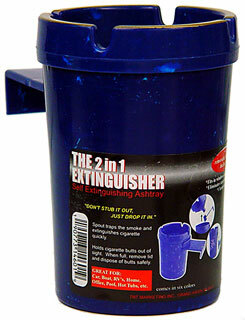 When full, remove lid and dispose of butts safely.